Lancaster Bible College | Capital Seminary & Graduate School is very passionate about working with our students who have Veteran Benefits. If you are a Veteran or have been awarded Veteran Benefits from a parent or spouse, we can help you with the process to have these benefits pay towards your tuition costs to attend LBC | Capital. LBC | Capital has two dedicated School Certifying Officials working in our Financial Aid Department to assist you with your VA Benefits. There are a variety of benefits available for our veteran, military members, and their families. These benefits depend on the military status and branch of service. These are some of the benefits and instruction to apply. Complete the LBC Application & Enrollment Checklist for VA Benefits and return to the LBC VA Certifying Official. If you have at least 90 days of aggregate active duty service after September 11, 2001, and are still on active duty status, or if you are an honorably discharged Veteran or were discharged with a service connected disability after 30 days you may be eligible for this program. 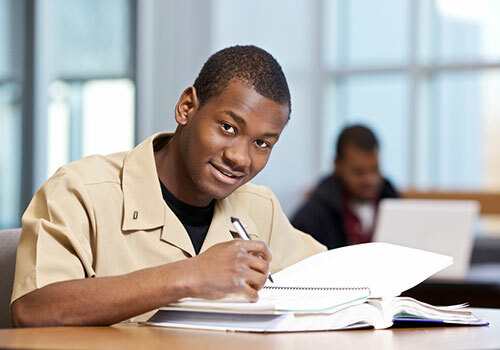 Depending on your eligibility percentage you may qualify for up to 100% of tuition and fees, a yearly book and supply stipend of up to $1,000 and a monthly living stipend based on the location of the school and paid at an E-5 rank. There is a cap set by the government that a student attending a private college. This cap is updated each academic year which begins on August 1 and goes through July 31 of the following year. The cap for the 2018-19 academic year is $23,671.94. If you are the spouse or dependent of a Veteran who is eligible for the Post 9/11 program then they may be able to transfer their benefits to you. The Department of Defense (DoD) determines whether or not you can transfer benefits to your family. Once the DoD approves the transfer of the benefits, the new beneficiaries apply for them at the VA. The MGIB-SR program provides education and training benefits to eligible members of the Selected Reserve. Eligibility for this program is determined by the Selected Reserve and the VA makes the payments directly to the student. The payment amounts may vary. You will need to verify your enrollment with the VA in order to receive payment of your benefits. LBC will submit to the VA your semester information for the process to begin. Then the student will need to go to benefits.va.gov/gibill click on information for Benefit Recipients, then certify your attendance (WAVE) or call 1-877-823-2378. Follow the instructions. When the system tells you that you are certified, your verification is complete. To verify your benefits eligibility you may contact the VA at 800-827-1000. You can also apply by going through the ebenefits.va.gov process and click on the Apply for Veterans Benefits via VONAPP. From the drop down box you will choose the Vocational Rehabilitation (Form 28-1900). The MGIB-AD, Chapter 30 provides educational benefits to Veterans who first entered active duty after June 30, 1987 and contributed to an education fund while serving. Benefits are usually payable for up to 10 years following your release from honorable active duty. You will need to verify your enrollment with the VA in order to receive payment of your benefits. LBC will submit to the VA your semester information for the process to begin. Then the student will need to go to benefits.va.gov/gibill and click Information for Benefit Recipients, then Certify your Attendance (WAVE) or call 1.877.823.2378. Follow the instructions. When the system tells you that you’re certified, your verification is complete. To check for eligibility please go to benefits.va.gov/gibill and click on “For Students” then “Education Programs” and then “Montgomery GI Bill”. The Marine Gunnery Sergeant John David Fry Scholarship (Fry Scholarship) is available for children and spouses of Service members who died in the line of active duty after September 10, 2001. This program offers educational and training opportunities to eligible dependents of veterans who are permanently and totally disabled due to a service related condition or of veterans who died while on duty or as a result of a service related condition. You may be eligible for more than one of these two programs. In most situations you will be required to make an irrevocable election between the DEA program and the Fry Scholarship when you apply. More information on these programs can be found at benefits.va.gov/gibill and click on “For Students” then “Education Programs” and then “Survivors & Dependent Assistance”. Some components of the military offer FTA while being an active member of that service component. The rates and caps vary. For example, the Army has FTA capped at $250 per credit up to a $4,500 yearly maximum. For additional information on this benefit please contact your Education Service Office in a military installation near you. A member of the PA National Guard who is eligible to receive EAP can receive this benefit which can be up to $3,858 per term. If you believe that you may be eligible for this benefit please go to pheaa.org or speak with an EAP representative about applying by calling 717.861.8894. You must apply by June 30 each year. The Yellow Ribbon GI Education Enhancement Program (Yellow Ribbon Program) is a provision of the Post 9/11 Veterans Educational Assistance Act of 2008. This program allows U.S. institutions of higher learning (degree-granting institutions) to voluntarily enter into an agreement with the VA to fund tuition expenses that exceed the highest public in-state undergraduate tuition rate. If your annual tuition would exceed the annual cap please contact our VA Certifying Official to complete the Yellow Ribbon application. Qualified active duty military students may be eligible to receive a scholarship. Students must submit a copy of their Leave & Earnings Statement (LES) to miltarybenefits@lbc.edu. Accelerated Undergraduate Students: Students will receive a Military Scholarship to bring their tuition down to $250 per credit hour. Seminary & Graduate Students: Student will receive a 25% tuition scholarship on master’s courses. This scholarship is not applicable to students in the traditional undergraduate program or doctoral programs. Lancaster Bible College participates in the Yellow Ribbon GI Education Enhancement Program (Yellow Ribbon Program), a provision of the Post-9/11 Veterans Educational Assistance Act of 2008.